The HGTV® Dream Home 2019 Trex decking makes every outdoor lover swoon, but you don't have to live in Whitefish, MT—or even the mountains—to achieve this look. 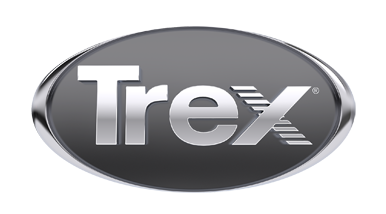 With Trex, you can bring the Rockies to you. Here’s how. Look to Mother Nature for color palette inspiration. Deep soil-brown Vintage Lantern decking contrasts beautifully against a clear Montana sky. However, you can choose any of our Trex Transcend® Earth Tones and create a similar atmosphere. Don’t forget accessories, either. Navy throw pillows and a burnished tartan throw will help the HGTV Dream Home 2019 winner truly relish their post-hike coffee. The beauty of mountain living is, well, the beauty. Highlight your slice of the great outdoors with sleek railing that keeps your deck safe and the vista unsullied, like Trex® Signature™ Rod Rail in Charcoal Black. To enjoy the scenery at any hour, install discreet Post Cap Lights. Once the deck is built, arrange chairs so that they overlook your most picturesque surroundings. Don’t think of standard furniture as your only seating opportunity. The placement of this sauna ensures anyone who takes a soak has a jaw-dropping view. Dreaming of snow-capped peaks? How about a rolling blue landscape or tree-covered Appalachia? Whatever mountain region you aspire to evoke, find accessories that remind you of that place. Flannel blankets, potted plants in wicker baskets and rustic lodge-inspired chandeliers work perfectly at the HGTV Dream Home 2019. As for your home, that’s up to you. To explore more of this Rockies retreat, click here. And don’t forget to enter for a chance to win the HGTV Dream Home 2019 starting Dec. 28.